In a blockbuster first-round match, third seed Marin Cilic meets the in-form Rotterdam Open Champion Gael Monfils in Dubai duty-free championships. Surprisingly, the two stalwarts of men’s tennis have met each other only three times so far. What is even more surprising is the fact that the higher ranked and more consistent of the two has lost all those three matches. Their last encounter was at the outdoor clay of Rio Open last year which Monfils won in straight sets. The other two matches have been played on hard courts and in each of those matches, the French man has come back from one set down to win the match in three sets. Monfils has been in rich vein of form in recent times. After losing in the second round of the Australian Open to Taylor Fritz in a tight four-setter, he reached the semi-final stage at the Sofia Open, where he lost to an in-form Daniil Medvedev. But he avenged that loss within a week when the two faced each other again at the same stage at Rotterdam Open. He won the highly physical match that lasted for about two and a half hours in three tight sets, after losing the first set. In the Rotterdam final, Monfils got the better of a resurgent Stan Wawrinka. 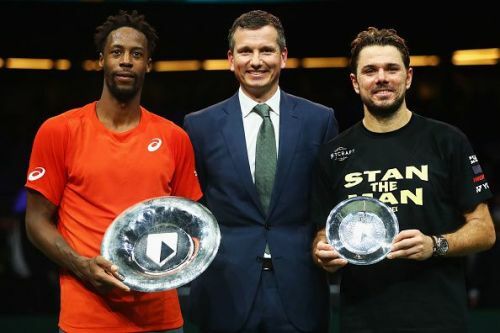 It was an important win for Monfils, not just because it was one of the biggest titles of his career, but also because his record in tournament finals has been abysmal throughout his career. It is natural that Monfils comes to Dubai full of confidence. But his higher ranked opponent, Marin Cilic seems to have gone off the boil in recent times. 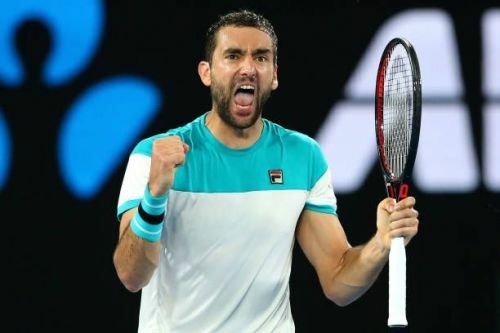 Cilic ended the last season at the ATP World Tour Finals, where he failed to progress from the group stage, after losing to both Djokovic and Alexander Zverev. He came to the Australian Open as the previous year’s finalist, but could only make it to the round of sixteen this time, where he lost to Roberto Bautista Agut. He has not played competitive tennis since then. It remains to be seen whether the lack of match practice will hurt Cilic’s chances or too much tennis in recent times will hinder the chances of Gael Monfils. At the moment, it seems the French man is well-placed to continue his unblemished head to head record against the Croatian.